What else except to ride out for food a day before flying off to the Land of the Rising Sun? The same evening, headed out for a training ride, knowing that it’s going to be 2 weeks of non-riding. Popped by Missus’ favourite shop for her dinner. The first half of 2017 was an exciting period. 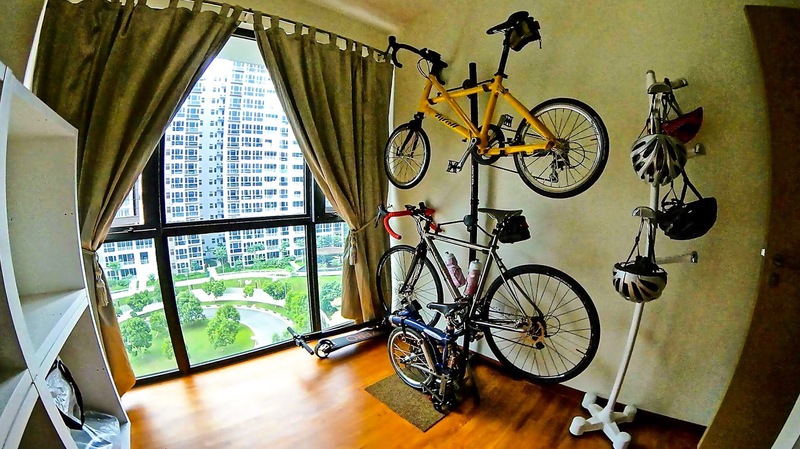 On the cycling front, I sold off 3 of the Bromptons, keeping only the S2EX. The P6R and H6R were sold because (1) we don’t tour with our bikes anymore and (2) the Missus has to lay off cycling completely due to the recurring lower back strain while cycling. Rather than keeping them, I might as well let them go to other owners who will make use of them more. 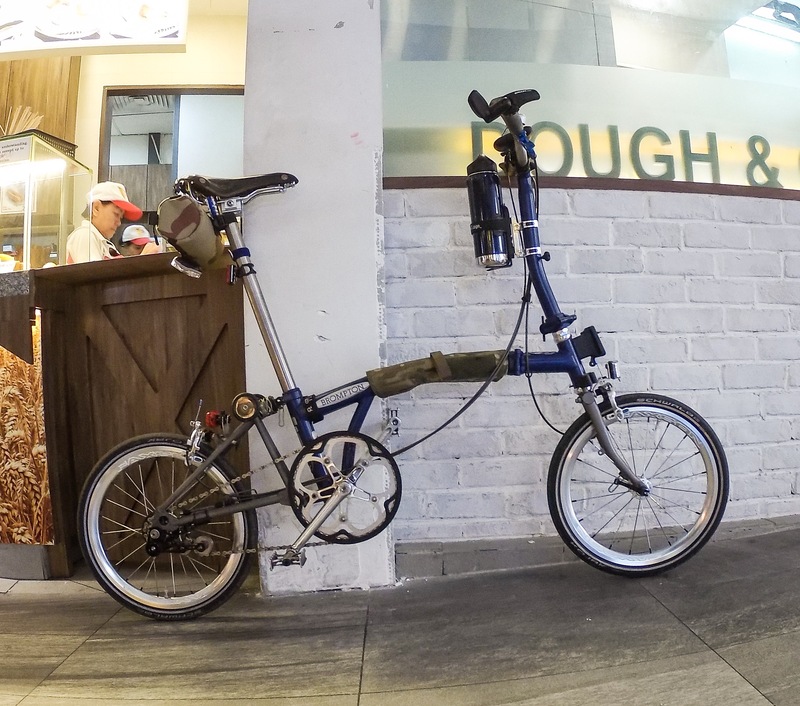 I hate to let go of the P6R as it was my first Brompton, it’s buttery smooth and I had it all set up even for commuting purposes. The M6R was exchanged for a Tyrell FX (pictured here) in a 1-to-1 swap. Loved the Racing Green on the M6R but the allure of a foldable mini velo is even more attractive. 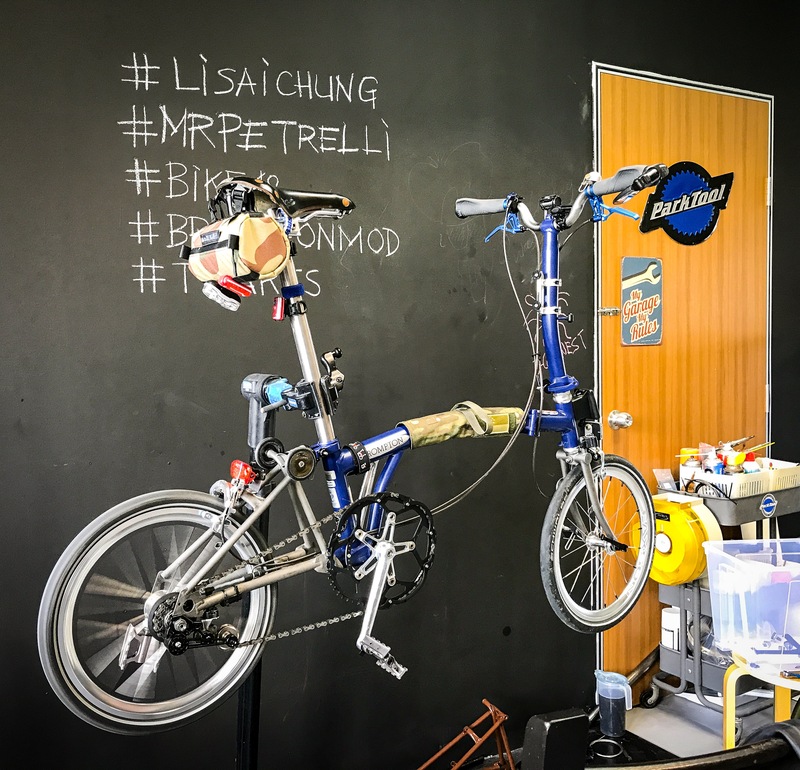 So here’s what remaining of the bikes: a Brompton S2EX, a Lynskey Sportive Disc and a Tyrell FX. 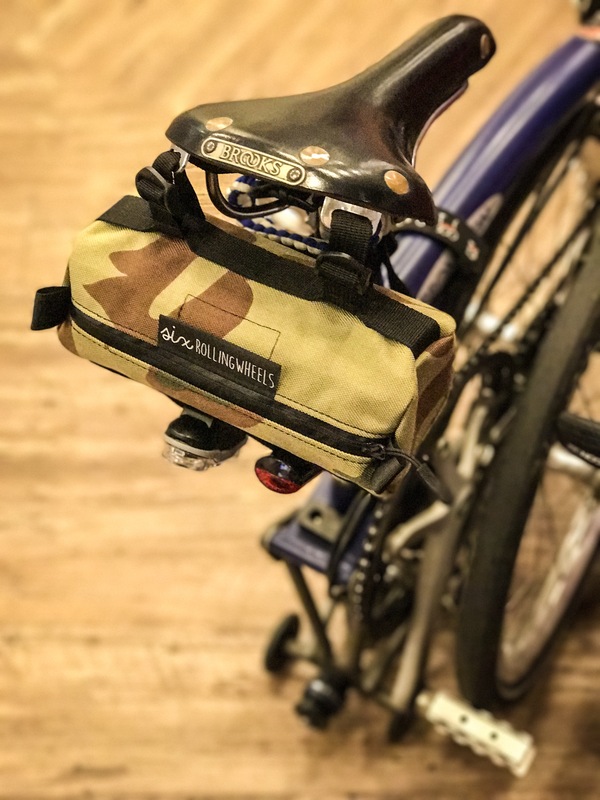 Purchased a saddle bag from a local maker, sixrollingwheels. Quality products at an affordable price. Ended up buying another 2 more for the other 2 bikes. Sent the S2EX in for a full mod of the parts, 3 years after having it. A spur of the moment decision and boy, am I happy with the mods done, although it tore a hole in the pocket. 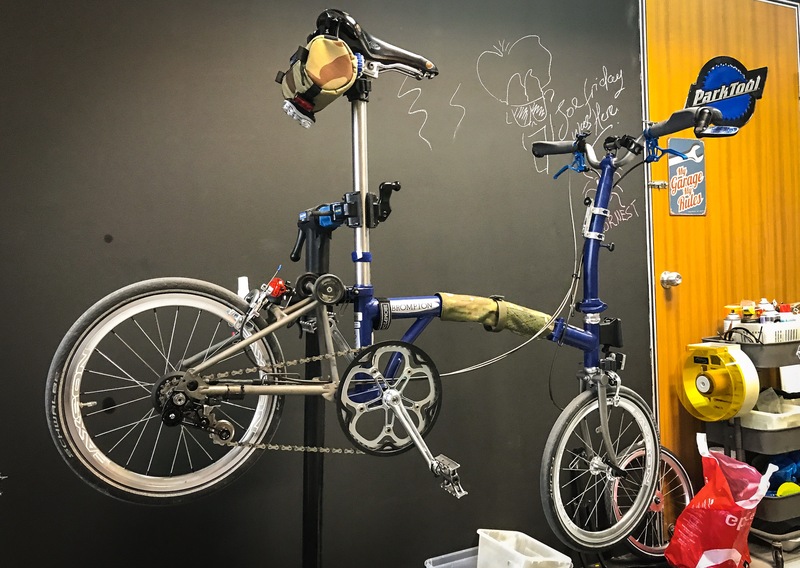 At this juncture, only the frame, stem, front fork, rear triangle and crank are stock. 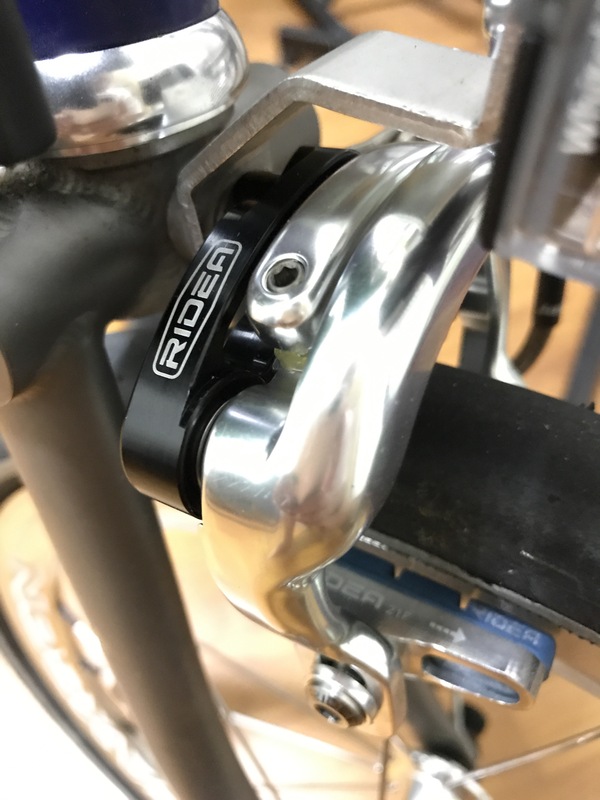 Now, it is a R(riser bar)S(S-stem)2EX. 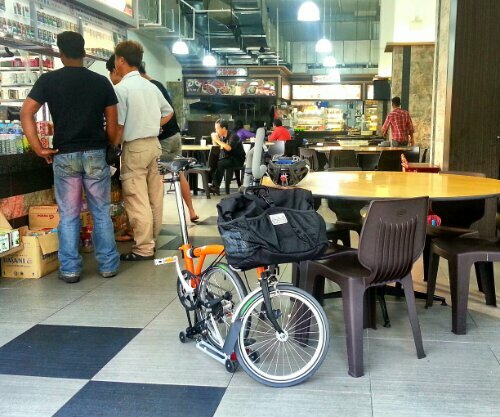 After leading a community ride for the local Brompton group, stopped by for some food for the Missus. 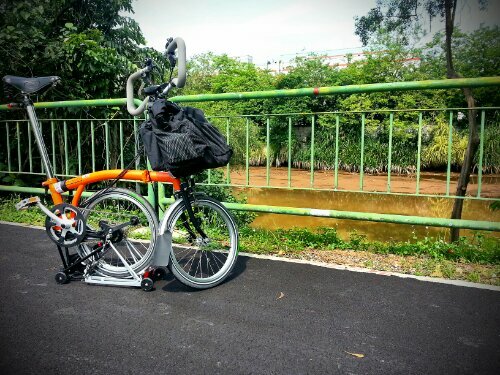 Took the opportunity to snap a shot of the upgraded Brompton. Love the new minimalist look of the upgraded cockpit. 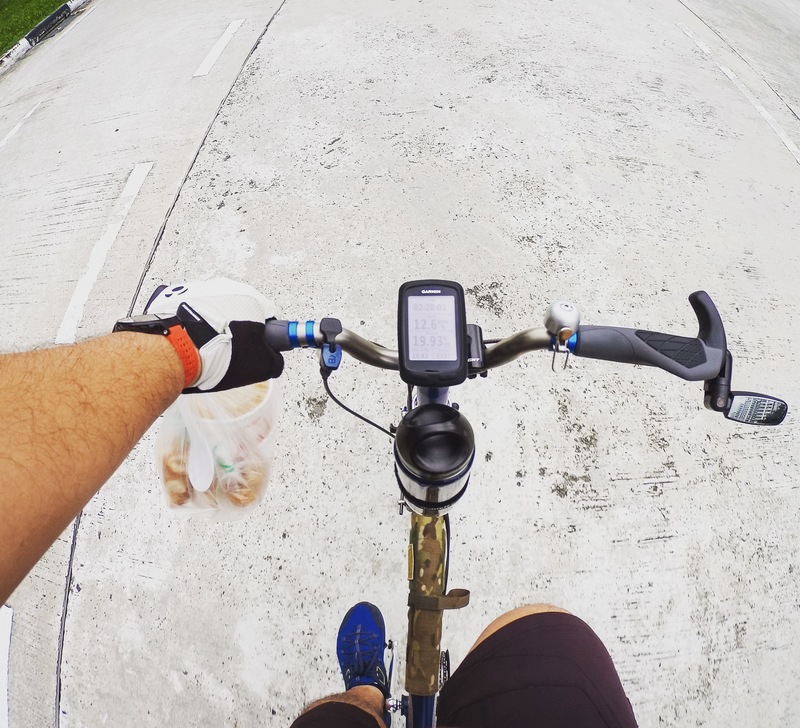 Before the start of the fasting month, I took the B out again for another training ride. 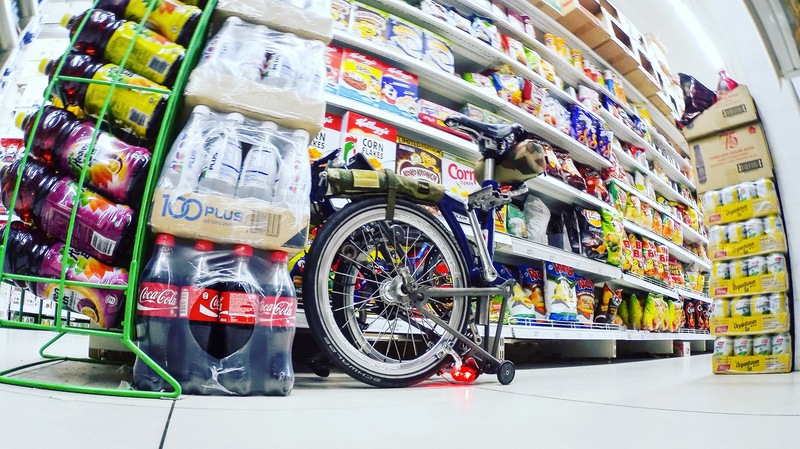 Popped by a supermarket to grab some stuff. The B is equally at home in a tight environment. Found that in recent rides, I have been maxed out on the 54T. So, I decided to upgrade the crank from a 54T to a 56T oval crank. Full mods done. Side view of the fully modded B. 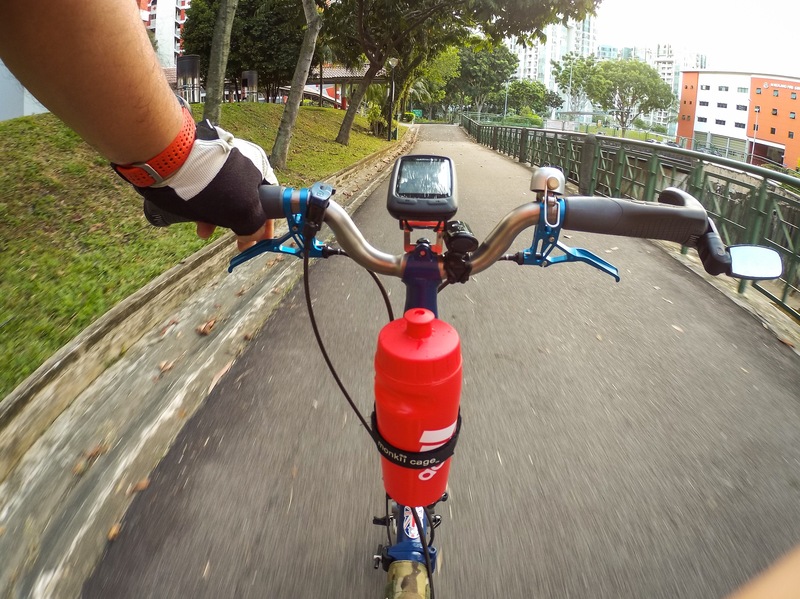 Must say that even though it is the fasting month, I’m still able to keep to an average rolling speed of 19km/h and even reached a maximum speed of 38km/h on this 2-speeder. 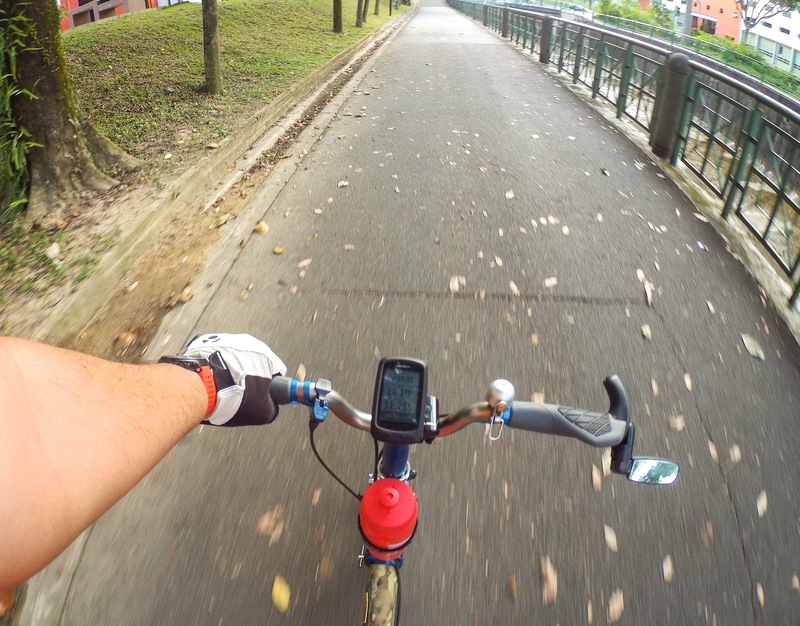 Cycling will resume when fasting month is over. It will be a mixture of hosting community rides and individual rides. Had the chance to cycle to work on one of the weekends. Total distance to and fro is 15+ km. Great way to exercise, arrived at my office, zero carbon output. Killing 3 birds with 1 stone. Stopped by a local coffeehouse for some breakfast amd beverage. 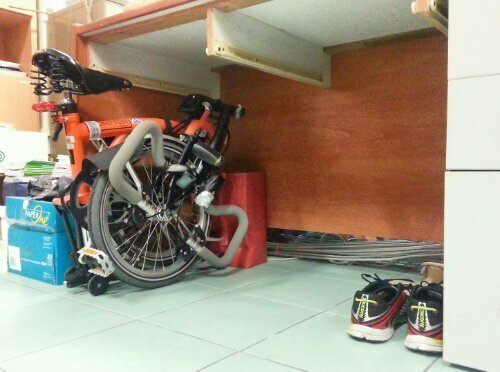 How the folded Brompton fits under my table in my temporary office. Perfectly fitted. On the way home, stopped by for an outdoor shot. Posted from WordPress for Android. Image/s taken by Samsung Galaxy Note 2. Wife suggested exploring the town she stayed when she was young, after sending off a nephew at the airport. 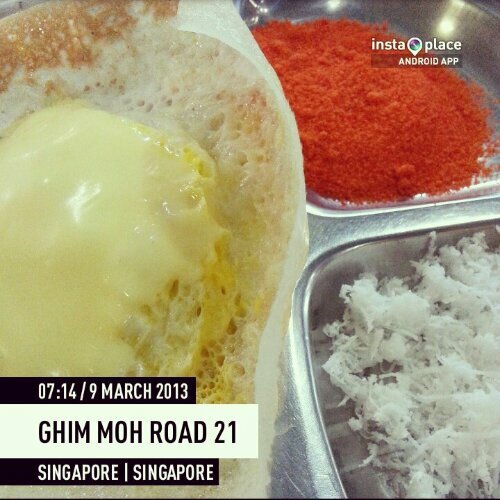 Had a hearty breakfast before exploring the town. Getting ready to move off. 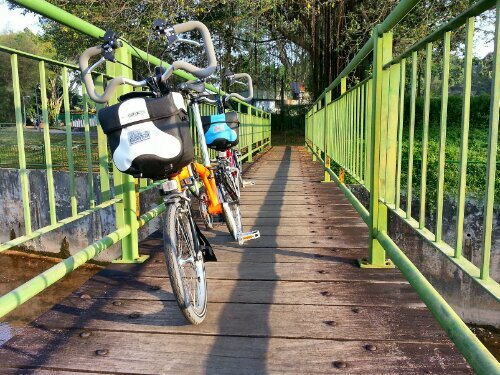 Along the way, we found this bridge which was made.of wood with metal railings. There are only a few such bridges left. It was a glorious morning ride. Slow and steady with delicious food in the tummy.